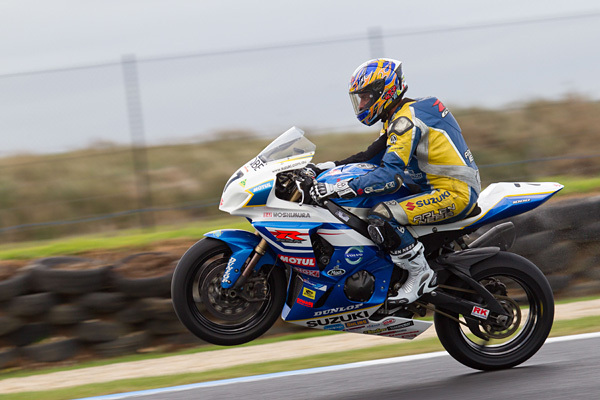 Team Suzuki rider Wayne Maxwell (above) capped off a perfect weekend at Sydney Motorsport Park with victory in todays fifth round of the QBE Australian Superbike Championship. “What a weekend,” Maxwell said. “To win all four races is the ultimate dream come true. The GSXR 1000 was incredible all weekend and handled extremely well. Full credit to the team for giving me such an awesome bike to ride this weekend. Finishing second yesterday, Robbie Bugden is sitting third on the championship ladder on 156 points. 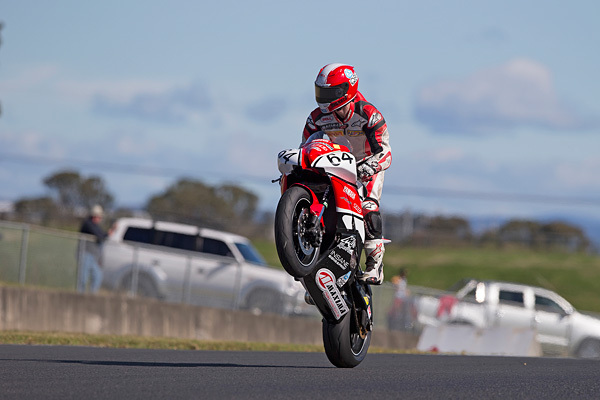 Team Honda rider Josh Hook in action at Sydney Motorsport Park. Aaron Morris claims victory in the Supersport class. In the Motul Supersport class Aaron Morris took the round victory with two race wins ahead of Aiden Wagner. The Yamaha mounted duo traded blows throughout today’s final 12-lap race with Morris moving into the lead on Lap 9. “I pretty much led the first race from start to finish but I hit false neutral on Lap 2 in the second race and lost about four spots,” Morris explained. From there I just had to keep chipping away at it. Aiden and I ended up in a good battle but I was able to get him towards the end. I got some good points today and have started to close the gap to Daniel (Falzon),” Morris said. 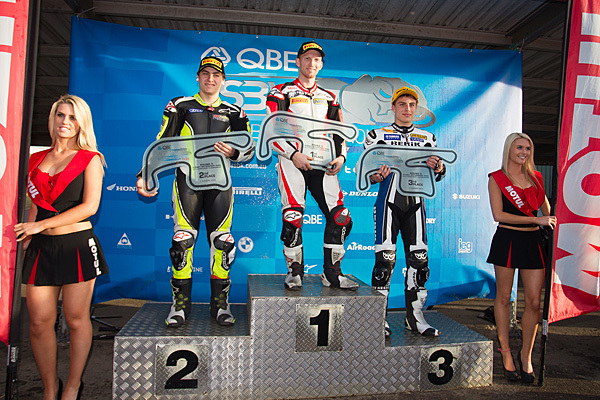 Supersport podium L-R Aiden Wagner second, Aaron Morris first, Daniel Falzon third. 10. Sloan FROST (NZ) 71 …etc.